I8863 1932 - 2013 (80 years) Submit Photo / Document Has 24 ancestors and 2 descendants in this family tree. Deborah G. Age 80. February 10, 2013. 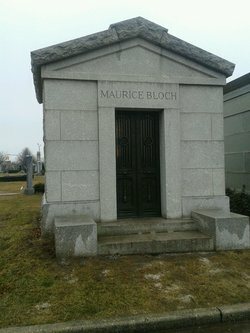 Beloved wife of the late Robert W. Bloch, irreplaceable Mother of Alexandra Bloch Jeydel, devoted Mother-in-law of Lawrence A. Jeydel, and supremely cherished Grandmother of Daniel Bloch Jeydel. A selfless woman who walked in beauty always, possessing a remarkable singing voice, a talent for design, and mostly a unique caring and sensitivity for others. A graduate of the Dalton School and Columbia University, Deborah was preceded in death by her twin sister, Marjorie G. Bachrach, and her parents Florence and J. Harold Garfunkel. A fifth-generation New Yorker, she will be missed by many for her empathy and elegance.